Candela Gallery is pleased to open 2019 with #InHonor, a solo exhibition by Ervin A. Johnson. 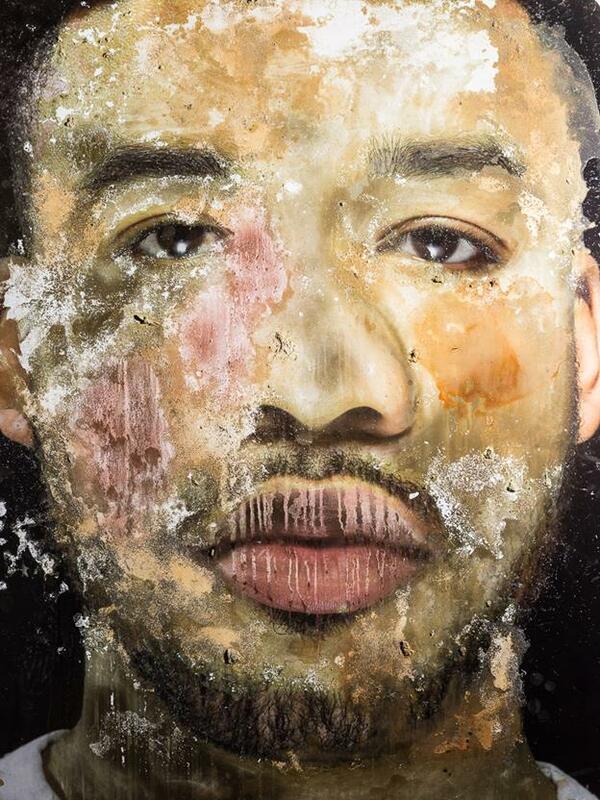 Spurred by personal experiences as a queer black man and the killing of black people across America, #InHonor is a series of photographic mixed media portraits that stand as a visceral response to racism and police brutality done to the black body. Created out of a need for social practice and in a way to honor Blackness, Johnson began #InHonor around the time of the Trayvon Martin and Eric Garner protests. Influenced by the abstract expressionist movement, Johnson forcibly and fervently removes pigment from the original photographs and meticulously reconstructs the canvas with various layers of skin-toned colorant. The resulting, distressed portraits are arresting, mirroring physical and symbolic gestures of trauma and renegotiation.